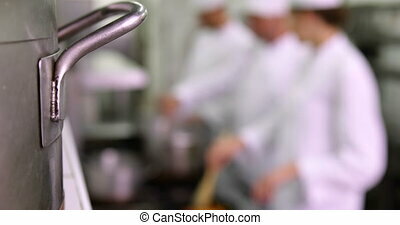 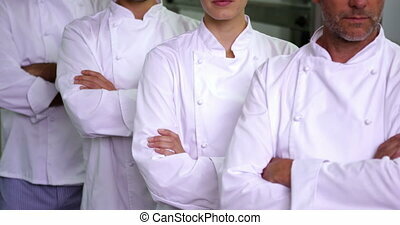 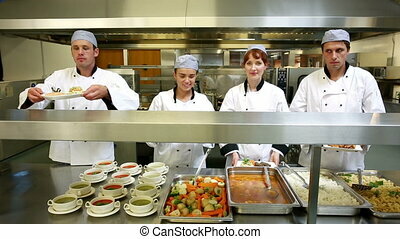 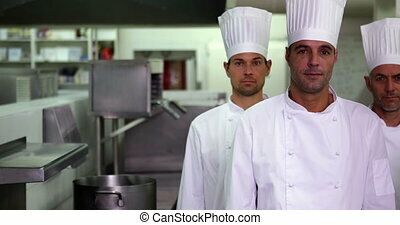 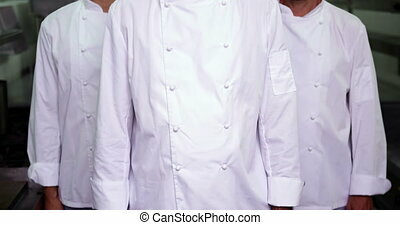 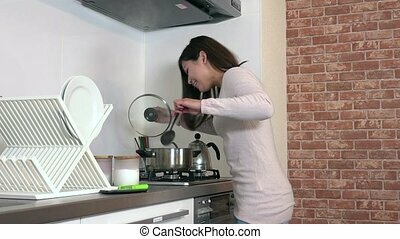 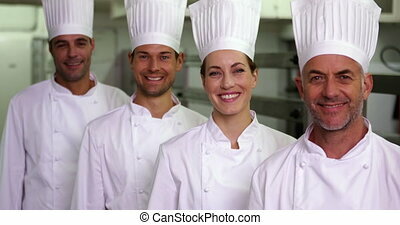 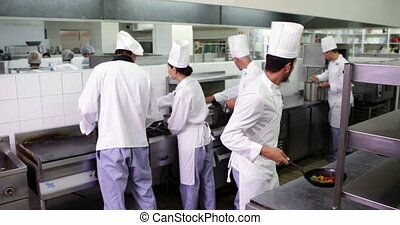 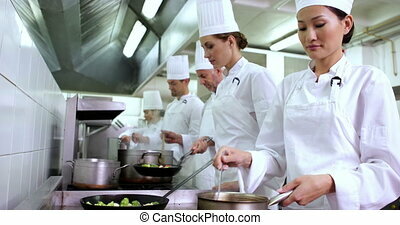 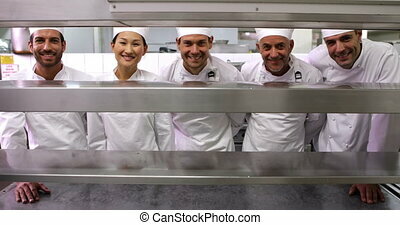 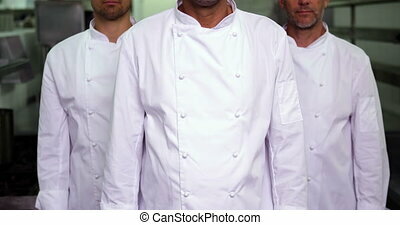 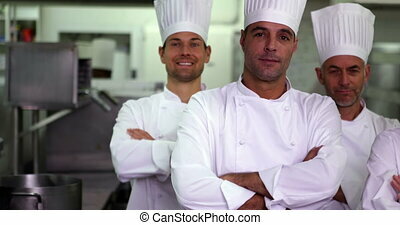 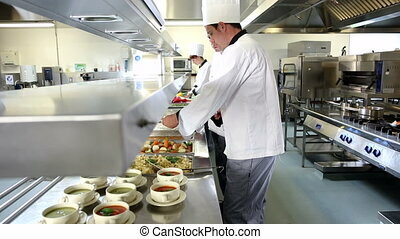 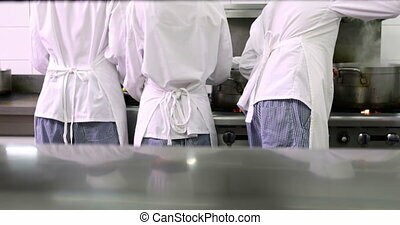 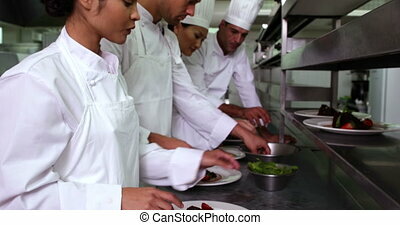 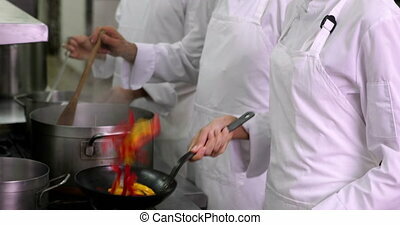 Chefs working at stove in a commercial kitchen. 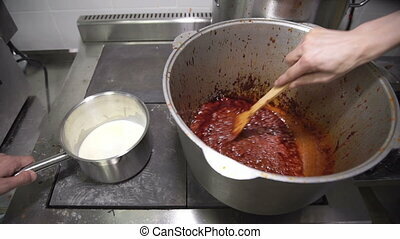 In the kitchen, at the plate two people prepare different sauces. 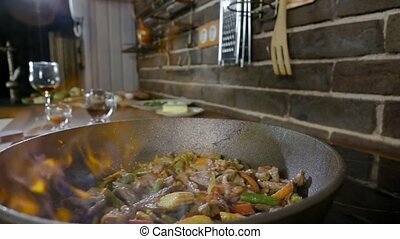 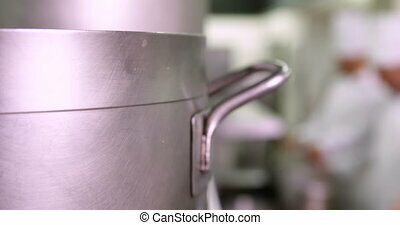 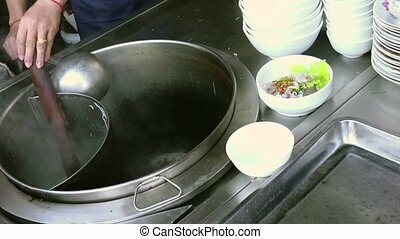 White gravy is heated and shaken in a small metal ladle with a long handle, a yellow spice stew in a large aluminum cauldron, while the hand is holding a wooden spatula and continuously stirs the mixture in order to avoid burning. 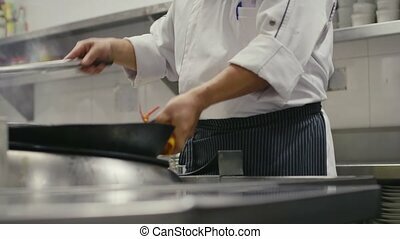 The red blend spattered edge of the pan during boiling. 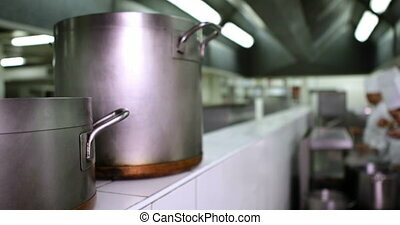 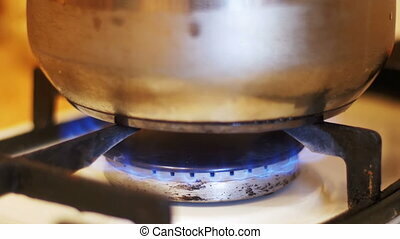 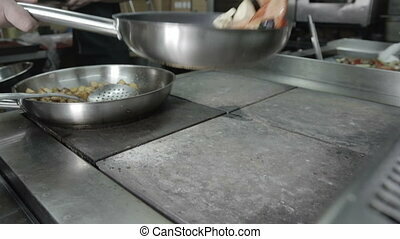 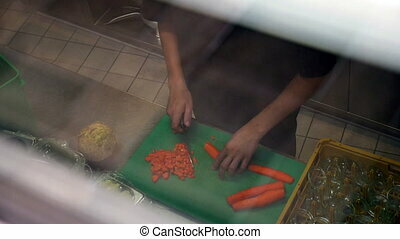 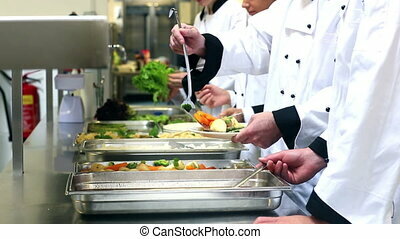 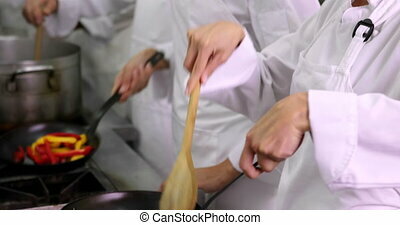 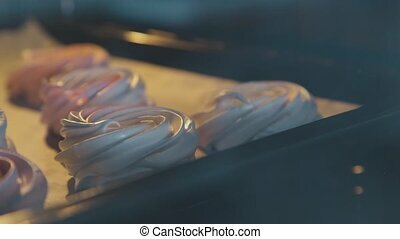 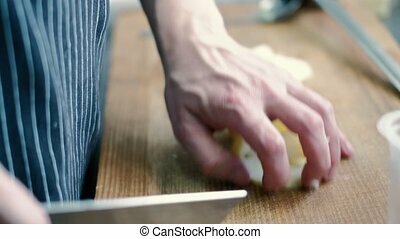 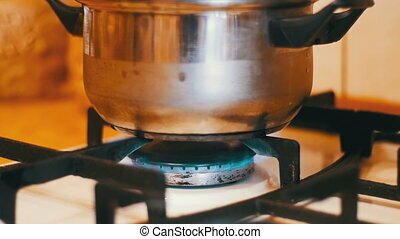 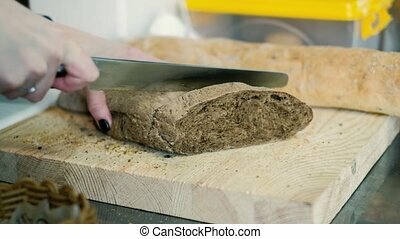 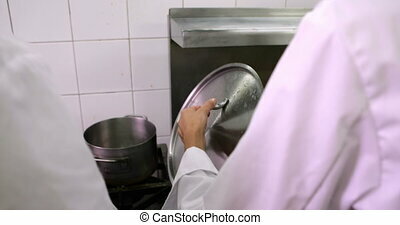 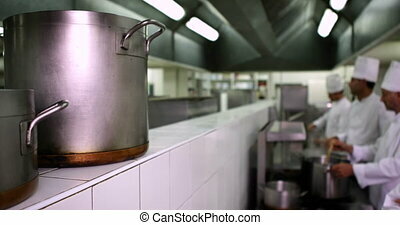 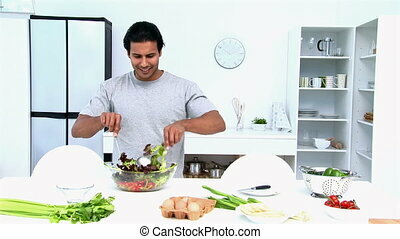 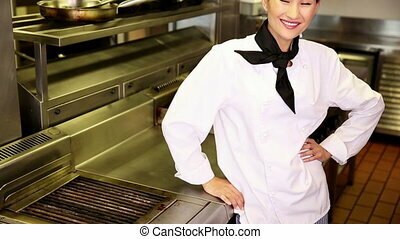 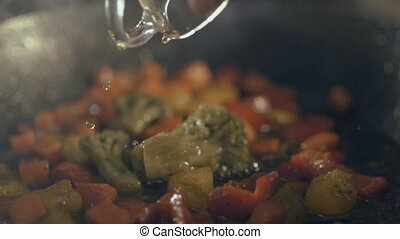 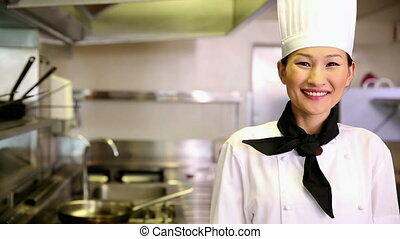 Cooks prepare billets for fast food-based dishes.